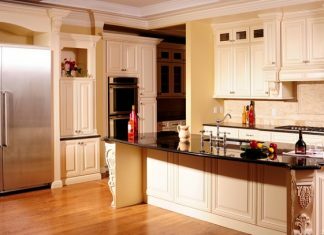 Roohome.com – White is known as elegant and charismatic color. You choose the right one if you want to use it as your color theme at home. 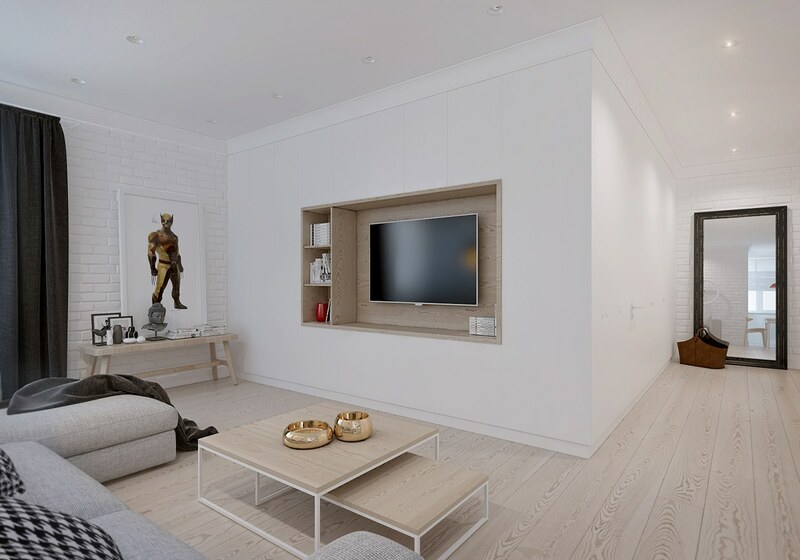 This Scandinavian apartment design will show you the tricks to make the house look more spacious and attractive using white color. 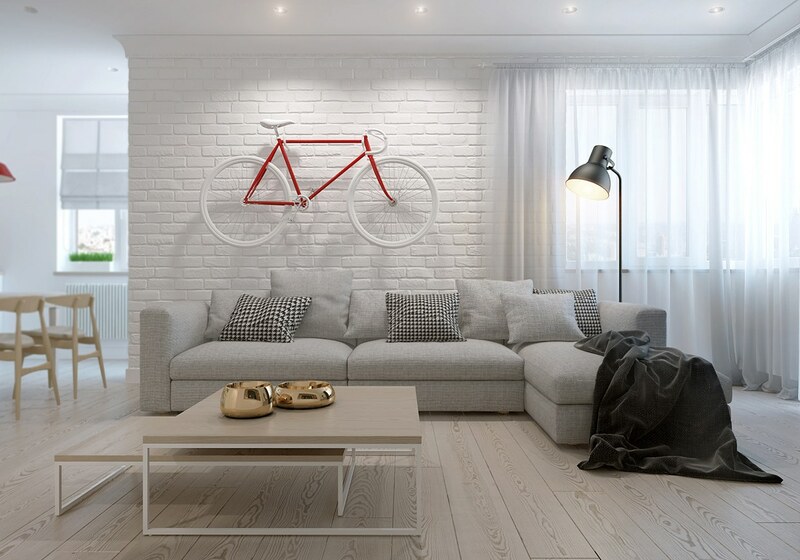 Kaschuk Kostyantyn Create an awesome design in a small apartment. He incorporates the variety of modern and traditional Scandinavian theme. He uses a bright color to make the room keep looking spacious. 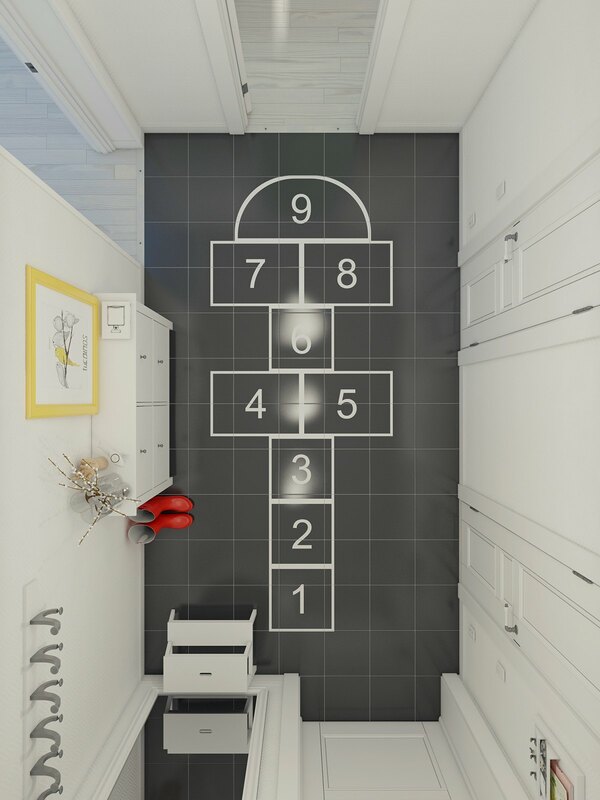 This creative Scandinavian apartment supplemented by some playful accents that were very interested in kids. The designer provides a lot of playful space there. Automatically, this design would be very suitable for family who has a kid. Putting some cute accents are also great for children’s retreat. You do need to be afraid of loosing special moment with your family because you can hold some party with them in this creative space. How about the colorful bicycle decoration? Simple gray sofa with the double coffee table is very elegant for your living room. 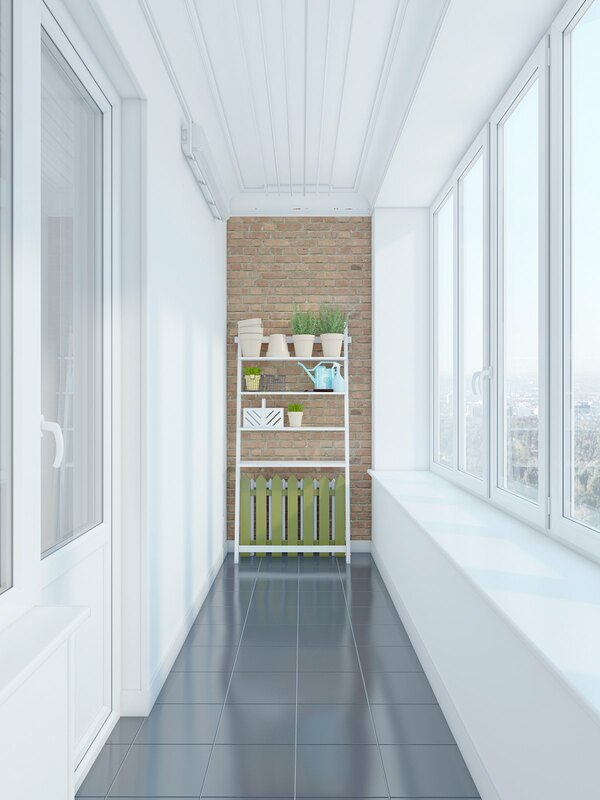 The brick wall paints with the hardwood floor that using classic Nordic style is also friendly for this Scandinavian apartment. It will be better if you use a light and elegant furniture for this soft space. For the lighting control, you can use a curtain with the double color shades. Black and white are the color that can match with the theme that you want to create. You can paint the door with the same color to camouflage it to keep elegant. 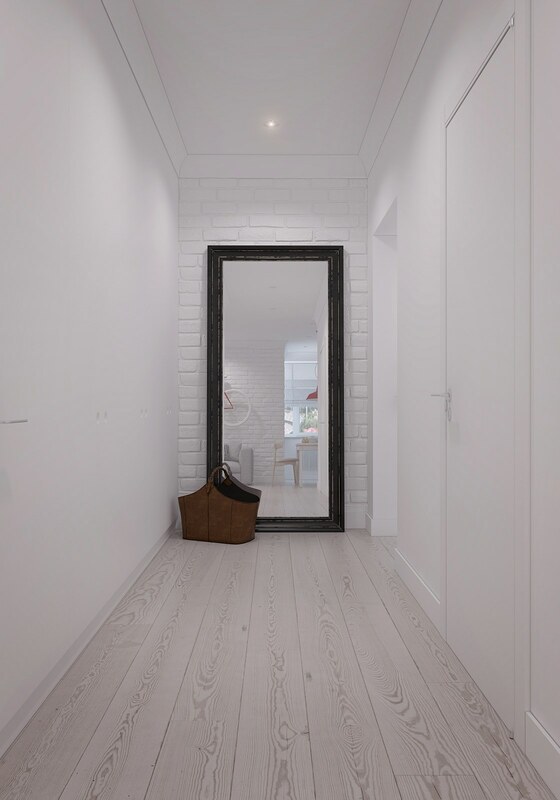 giving a large mirror in the corner would give spacious effect. 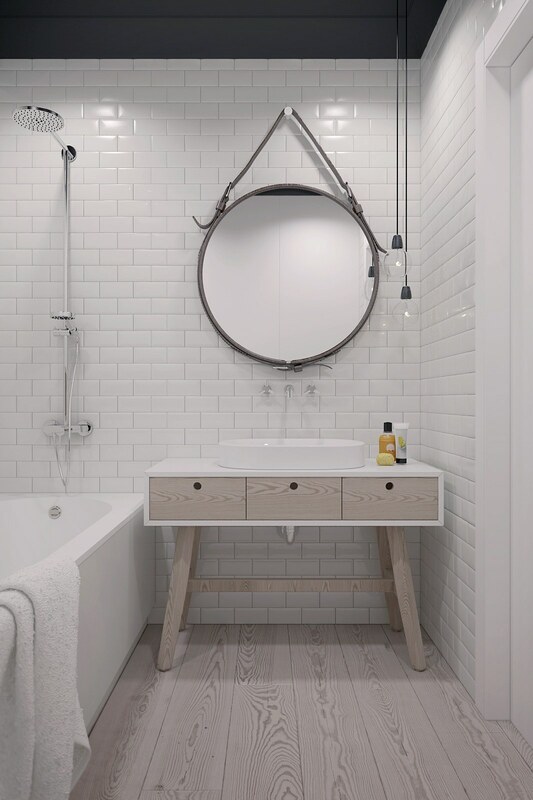 Do not forget to choose the neutral color for the mirror frame. Do you have a kid? 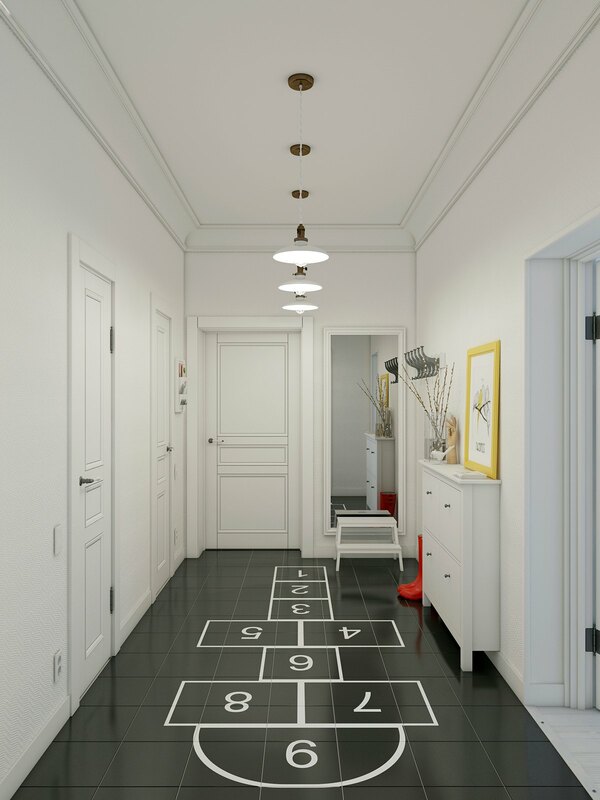 Making some playful accents like this traditional games would be interesting for your kid. You can spend your holiday time by playing it together with your family. Making unforgettable moment with them is one of the interested activity rights? 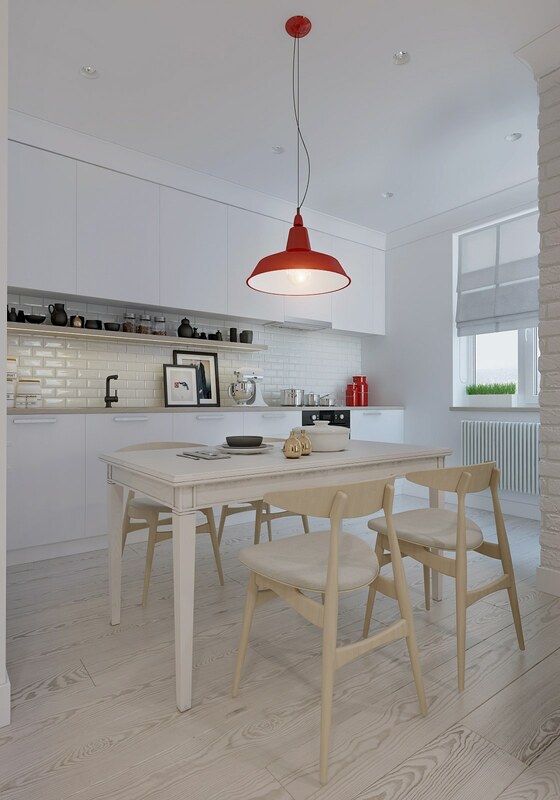 Vintage kitchen with the small garden on the balcony is one of the Kaschuk Kostyantyn’s creation. You can try it and make a cozy retreat drink a cup of tea in the foggy morning. 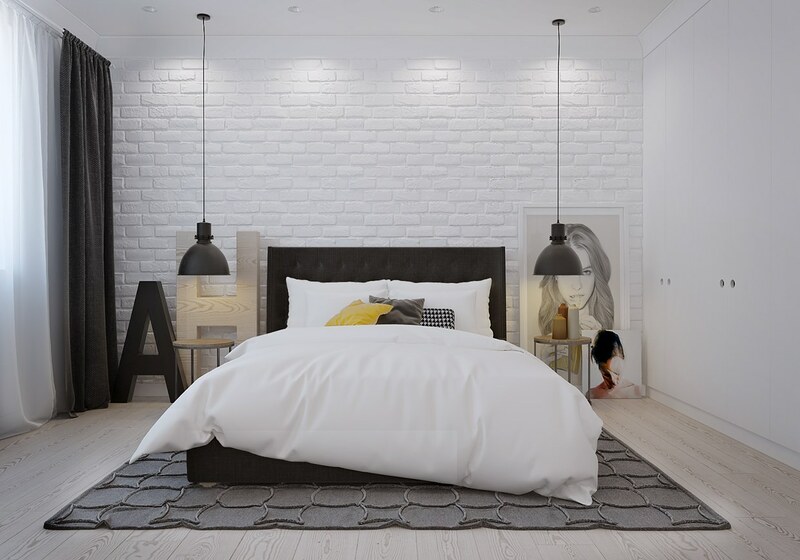 This black and white bedroom with the hanging light is creating a romantic place for rest. Adding some artistic accents is possible for it. This small apartment would be better if you do not use or apply unimportant furniture. The soft white bedroom with the traditional hanging bulb is supporting this Scandinavian apartment. You can also apply wooden cabinet for storage your toiletries.